In May 2006, armed only with a small rucksack and a staff, Tony Kevin, an overweight, sedentary, 63-year-old former diplomat, set off on an eight-week trek across Spain. But this was not just a very long walk — it was a pilgrimage. From Granada, in the southeast, to Santiago de Compostela, in the far northwest, Tony followed the Via Mozarabe and the Via de la Plata, two of the many pilgrim trails that crisscross Spain and Portugal and that all lead to a single destination. In the Middle Ages, the cathedral city of Santiago de Compostela was Europe's most famous centre of pilgrimage, and in recent years it has enjoyed a remarkable revival; every day towards noon, hundreds of hot, tired, and dusty pilgrims stream into Santiago Cathedral for the daily Pilgrim's Mass. What, in our busy, materialistic 21st century, is this apparently anachronistic phenomenon all about? What drives tens of thousands of people of all nationalities and creeds to make long, exhausting walks across the cold mountains and hot tablelands of Spain, to take part finally in a medieval Christian liturgy of spiritual renewal and reconciliation with God? 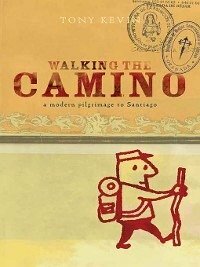 Walking the Camino beautifully captures the flavour of what it was like to walk the camino, and is filled with fascinating observations and anecdotes about the nature of contemporary Spain. And because pilgrimage is such a deeply personal experience that has the potential to unlock the deepest recesses of hidden memory and conscience, it is also a profound personal meditation on the nature of modern life. It will be of interest to people who contemplate making, or who have made this walk; to those interested in the politics and culture of contemporary Spain; and indeed anyone who appreciates fine travel writing. Tony Kevin served in the Foreign Affairs and Prime Minister's departments over a 30-year period, and was Australia's ambassador to Poland and Cambodia. His other award-winning book is A Certain Maritime Incident: the sinking of SIEV X (Scribe 2004).